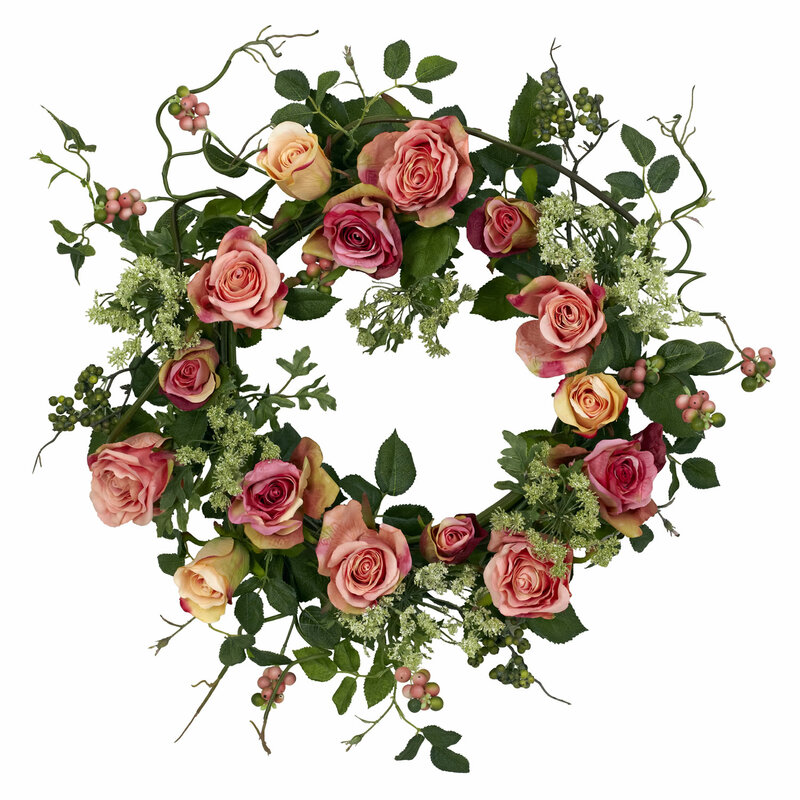 We’ve taken the perfect rose blooms and created this lovely rose and berry wreath that has to be seen to be believed. Exquisite rose blooms circle round’, while the leaves, and stems provide a beautiful green backdrop. A mixture of roses, berries and queen anne's lace add eye-catching color and “wild vibrancy” that is perfect for any room in your home. Also makes a wonder gift for Mother's Day. 20" Diam.